9´8" x 32" x 6"
10´8" X 33" X 6"
12´6" x 26.5" x 6"
10´2" x 32" x 6"
11´4" X 33" X 6"
14´ x 25" x 6"
10´6" x 32" x 6"
12´4" X 33" x 6"
14´ x 26.5" x 6"
10´10" x 32" x 6"
​12´6" X 30" x 6"
10´6" x 34" x 6"
​13´6" X 30" x 6"
10´10" x 34" x 6"
The ALL-ROUND series of boards has been designed for use across the widest range of conditions. Its popularity is down to its versatility. It’s designed to float and glide easily on flat water, and it has just the right amount of curve and pulled in tail to work and offer some sensation in surf. It is still wide and stable enough for some Yoga workouts and with cargo tie-downs also invites to longer exploring paddle trips. These are our most successful models available in different colors and dimensions. The XL ALL-ROUND series of boards has been designed for use across the widest range of conditions but with the heavyweight rider, beginner in mind. With a larger width of 34" and the generous thickness of 6" these models are super stable and stiff. It’s designed to float and glide easily on flat water, and it has just the right amount of curve and pulled in tail to work and offer some sensation in surf. It is wide and stable enough for Yoga workouts and with cargo tie-downs also invites to longer exploring paddle trips. SUP Surfing is the easiest way to catch and ride a wave. 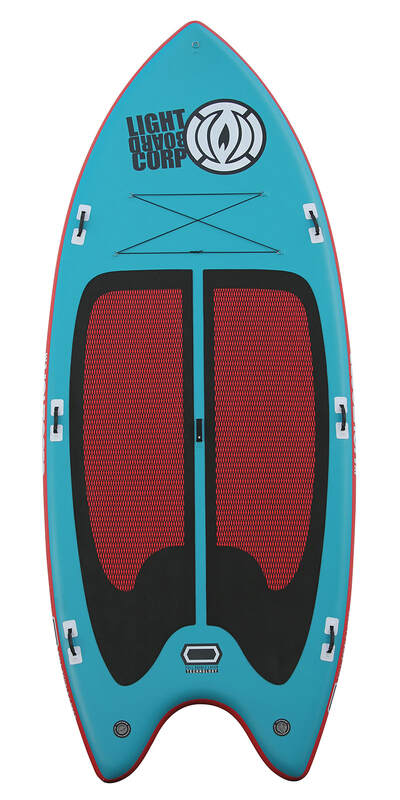 With the paddle for balance and propulsion it's easy to get into the smallest wave. Just choose an empty spot and go for it. Our surf SUPs have a narrow tail, wide nose and less thickness for ease to catch waves and max. maneuverability. Our wave SUP are constructed in the brandnew MFT TECHNOLOGY - sturdy, stiff and super lightweight ! The MFT FREERIDE-ALLROUND SERIES is lightweight and very stiff, it turns on a dime and with it's balanced handling it blends reactivity and stability at it's best. The larger dimensions in 10´8" and 11´4" feature added stability . Thus they are the great models Yoga and Heavy Weight Riders. The shape is designed to float and glide easily on flat water. Given the larger length they offer the sensation of speed and a larger touring radius. The curve and pulled in tail offer some sensation in surf. The MFT Freeride 9´8" suits the demand of more lighweight riders and those who are looking for manouverability. RACE SUP is a fantastic exercise, work out and a lot of fun. Our Race series combines length, latest competitive narrow outline and a low nose rocker for added water length and less drag. Uncompromising speed and agility for the experienced rider. Average speed of 9km/h is no longer limited to hardbody boards. Enjoy the pure sensation of speed. We offer our range in 12´6" and 14´ race class designs. To meet all types of water conditions & rider experience, weight we offer the most popular 14´ models in 3 width. The lightweight and stiff MFT construction can match every competitors premium technologies and has been on many podiums. We also offer the patented MFT ICT carbon construction. These boards are more heavy but nearly as stiff as hardboards. Peter Weidert reached a strong 3rd place at the highly competitive LOST MILLS 2017 european championship on one of the first MFT ICT available.